Rigby, the young protagonist of Izzy Tennyson’s Grotty, has two girlfriends. One is Toad (Rebekah Hinds), a well-off woman who likes going to lesbian bingo and having a curry afterwards. The other is Witch (Grace Chilton), a tattooist famed for her design of a 1950s family having dinner with strap-ons attached to their faces who keeps putting Rigby in a dog collar. In Hannah Hauer-King’s production, the playwright performs as Rigby, using exaggerated physical movements containing some elements of clowning. Continuously gurning, with eyes rolled to the ceiling and tongue lapping out, Tennyson is a caricature of insecurity, awkwardness and instability. The problem is that she maintains this hunched, hand-wringing act throughout, meaning that there’s little to signal when the character’s moods fluctuate. But perhaps that’s the point: she feels awful all the time. 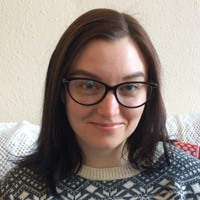 The London lesbian scene Rigby is part of is depicted as massively unpleasant, filled with predatory older women and a school bully atmosphere that labels people “unfuckable”. The cruelty of the comments, in particular recurrent insults about Toad’s weight, makes it difficult to watch at times. 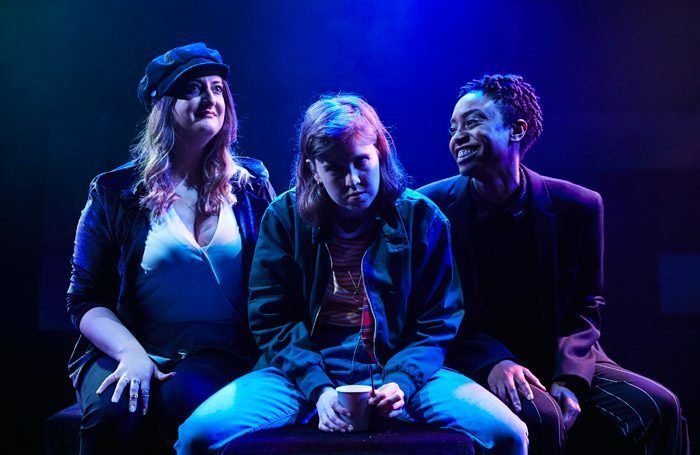 Although billed as being about the capital’s lesbian groups, Grotty is as much about severe mental health problems, grief, loneliness and isolation. There’s a boldness to it, and a hint the play is aiming at catharsis. But it’s hampered substantially by the flimsiness of the narrative. If anything it resembles the a series of half-forgotten photos discovered on an iPhone after an especially bad night out.